i see some of my running friends every saturday. others i don't see as often, but when we see each other we are in our running clothes. every so often we get together off the road and actually get ourselves ready for the day. these ladies are beautiful, and i love seeing them all dolled up. 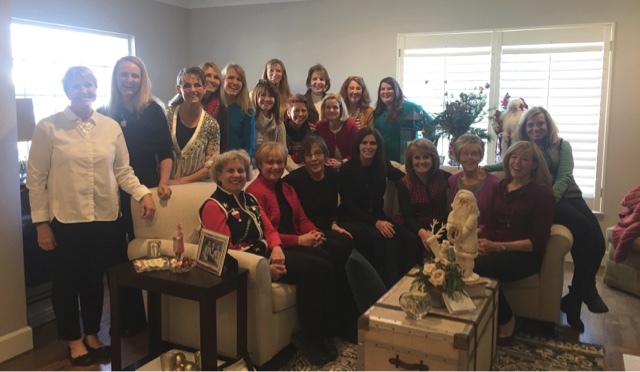 we met at heidi's house for our christmas party. there are so many of us now, and it's a good time to catch up with everyone. we had the most delicious soups and salads and the best conversation.